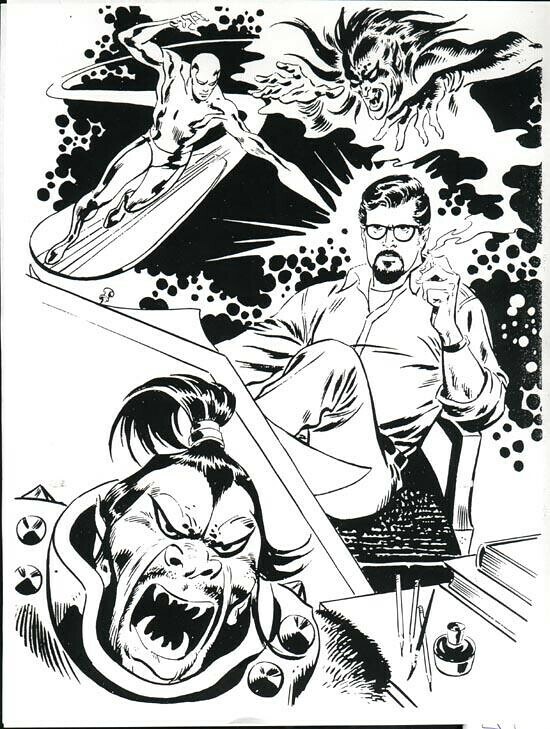 Around 1970, John Buscema did a self-portrait with himself among various Marvel Heroes. Here's part of that poster with Buscema smoking in peace where the Silver Surfer be-devils him with cosmic rays. Although I would be more worried about Mephisto rising up out of the smoke. 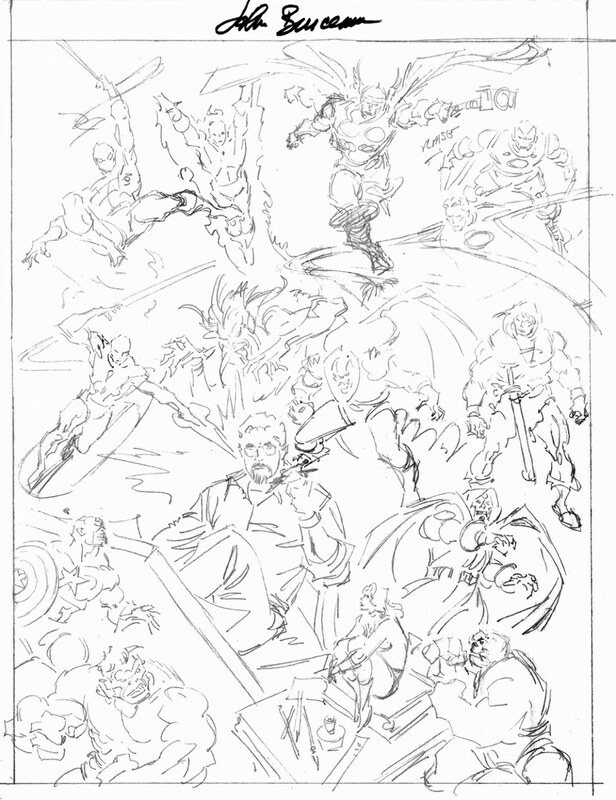 I found the pencil rough that John Buscema produced, showing a much larger piece. It has Conan, Thor, Iron Man, Hulk, etc. Anyone know where I can get a scan of the full finished poster? Nuff Said! PS: I still hate your CAPTCHA crap and I still miss you on Facebook!